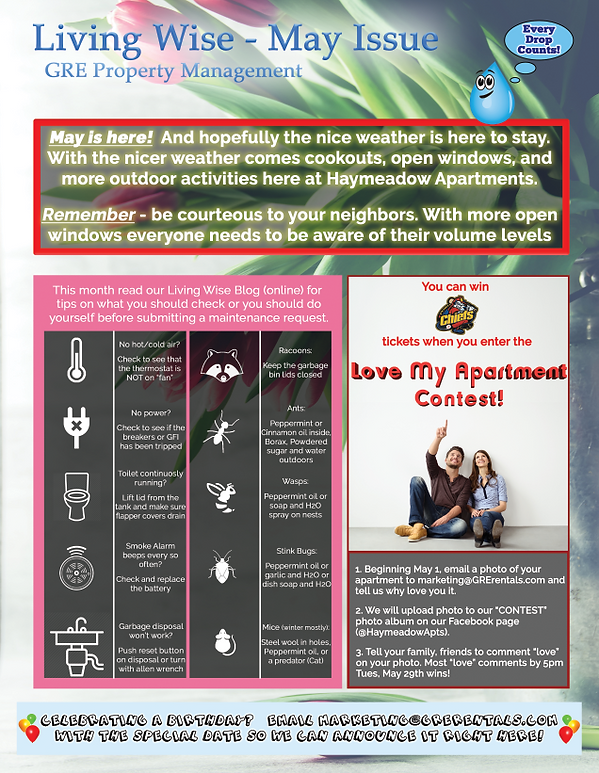 "Things you can check before submitting a maintenance request", "easy ways to keep away pests", and if you "Love My Apt" we have a contest for you! All of this and a request for birthdays, special occasions, pet birthdays, and more in our Living Wise May 2018 issue! Have a great May everyone!